American employers say they are missing one key ingredient these days: Workers. Finding qualified and available candidates is a major challenge for companies. Some have cut back on hiring as a result. Many businesses -- from farmers to Facebook -- plug the gap with some of the 27 million foreign-born workers living in the United States. President Trump's decision to repeal DACA, or the Deferred Action for Childhood Arrivals program, risks the deportation of roughly 800,000 young adults who were born outside the United States but have lived in the country for a decade. Experts say repealing DACA would worsen the shortage of workers in the United States. "Getting rid of DACA reduces the number of skilled workers and a lot of industries are facing worker shortages," says Ike Brannon, a visiting fellow at the Cato Institute, a conservative research group. "To push this now is really an inopportune time." Brannon estimates that repealing DACA would also hit the U.S. government by deporting taxpayers. He forecasts a potential $60 billion loss in tax revenue to the federal government and $280 billion hit to economic growth over 10 years. Worker shortages are a big deal across the country. Tech companies in New York can't find software developers. Construction firms in Virginia can't find skilled builders. Tourism businesses in Minnesota are struggling to find new employees. Trucking companies in Kansas are short on drivers. And California farmers need more field workers, according to the Federal Reserve's most recent survey of businesses across the country. Consider this: 87% of small business employers hiring or trying to hire in July reported few or no qualified applicants, according to the National Federation of Independent Business, a research and advocacy group. Finding workers is the biggest problem in construction and manufacturing, industries at the core of Trump's base, NFIB data shows. The 800,000 people using DACA help to fill the hole. More than 75% of them are employed, and their average wage is over $17 an hour, according to the National Immigration Law Center, a left-leaning group. Their median age is 22, meaning most are prime for careers, jobs and incomes for the foreseeable future. 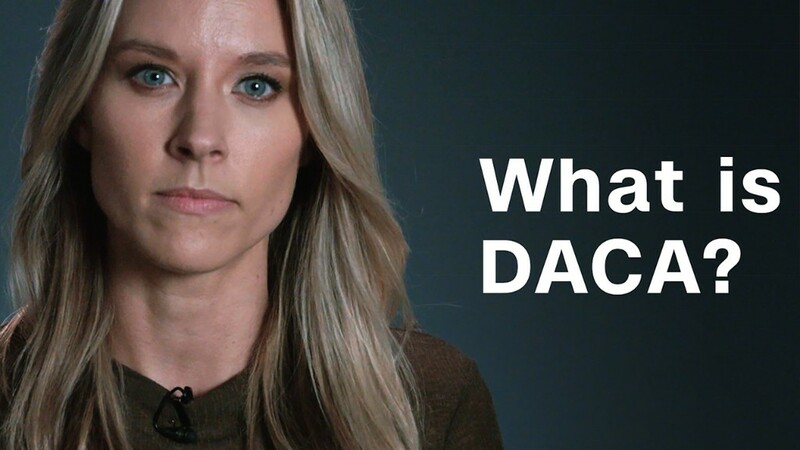 DACA permit holders are a part of the formal job market, meaning they pay local, state and federal taxes when they get pay checks, instead of being paid under the table. They must pass criminal background checks and pay application fees to apply. Fewer workers also means smaller profits for some businesses. Farmers in central coastal California reported losing $13 million in unpicked strawberries, leafy greens and other crops due to workers shortages last year, according to the Grower-Shipper Association of Santa Barbara and San Luis Obispo Counties. The association says it's the fifth straight year farmers in the region have struggled to find enough workers. "Our members have consistently seen increases in the losses of gross revenue due to the ongoing labor shortage," Claire Wineman, president of the association, told CNNMoney in August.